Heat some oil, put in Onion, stir fried until brownish, then add in luncheon meat, you may add in seasoning if you need. 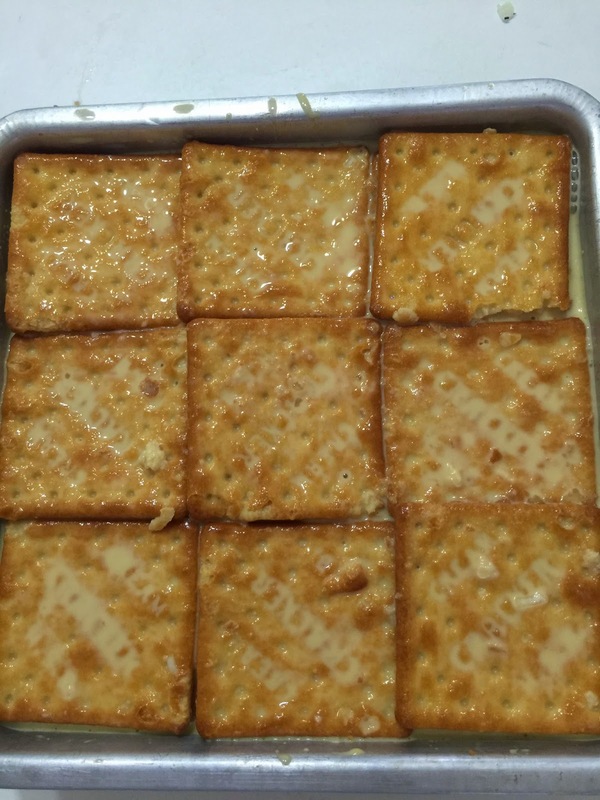 Beat B slowly, add in 9 pieces of cream cracker, soak for about 15 seconds, arranged them in a square pan which applied with a layer of butter or baking paper. 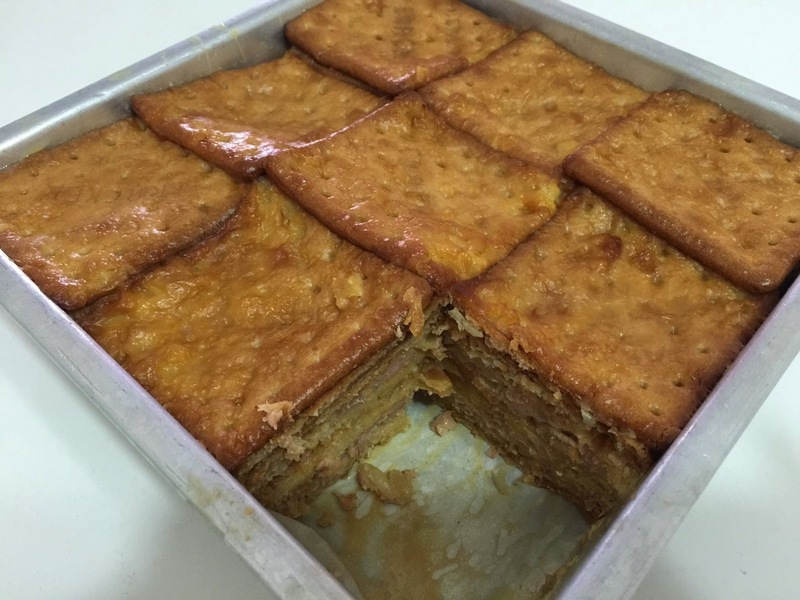 Next, put a layer of (1), then biscuit until it finish. 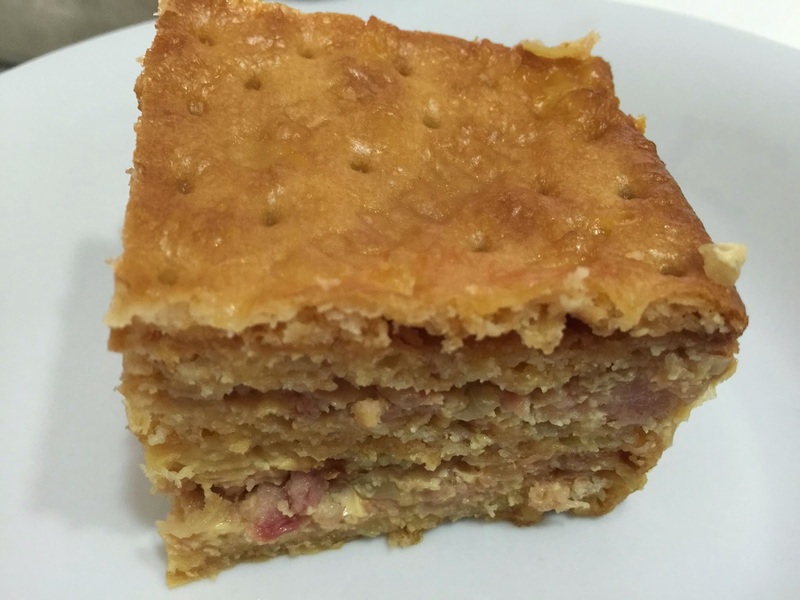 The top layer should be biscuit. Pour the left over B onto the biscuit(need to cover the top layer biscuit), steam over big fire for 20 mins.